An alleged gangster who admitted to killing three of six people in a Surrey, B.C., highrise in 2007 has been sentenced to life without the possibility of parole for 15 years. 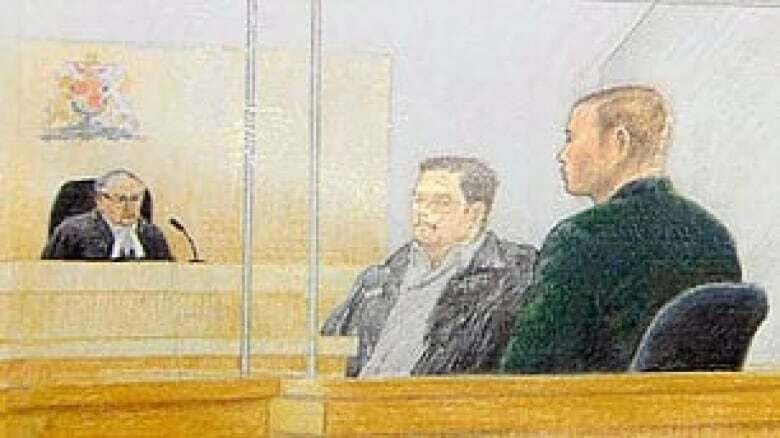 An alleged gangster who admitted to killing three of six people in a Surrey, B.C., highrise in 2007 has been sentenced to life with no eligibility for parole for 15 years. Dennis Karbovanec, 27, pleaded guilty last Friday to three counts of second-degree murder and one count of conspiracy in the slayings. 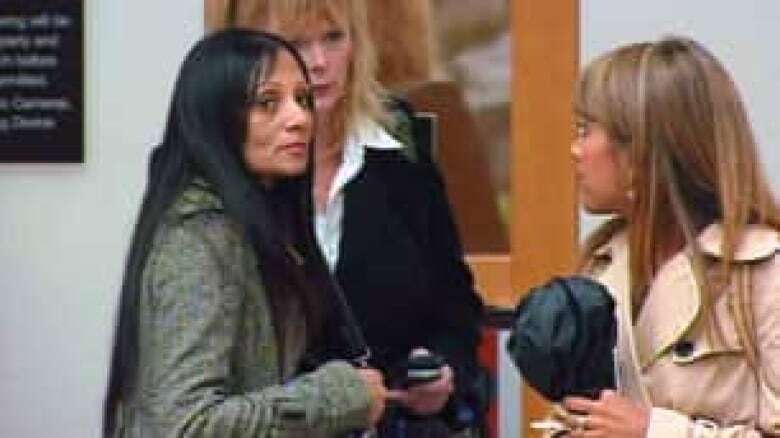 The sentence was handed down Thursday afternoon after the B.C. Supreme Court imposed a sweeping publication ban on Karbovanec's sentencing hearing. Three of Karbovanec's associates also face charges in the slayings, and Associate Chief Justice Patrick Dohm ruled the publication ban was necessary to ensure the others receive a fair trial. "The situation here is a classic one, where a ban on publication is absolutely essential to ensure a fair trail for those who may follow the person who is in the prisoner's box today," Dohm said, referring to three other men charged in the slayings. "It is to these people that the ban is directed," Dohm said in the high-security courtroom in downtown Vancouver. "Nobody would want less." Victim impact statements were also sealed by the court, but Dohm noted they are "probably the most difficult ones I have ever read." "The path of destruction of a permanent nature has been painted for the court," he said. On Oct. 19, 2007, six people were found dead in a 15th floor apartment of a Surrey highrise in the 9800 block of East Whalley Ring Road. Edward Narong, 22, Corey Lal, 21, his brother Michael, 26, and Ryan Bartolomeo, 19, were found dead inside the apartment. Christopher Mohan, 22, and Edward Schellenberg, 55, were also found dead, unintended targets who were in the wrong place at the wrong time, police have said. Karbovanec, 28, entered a guilty plea last Friday on second-degree murder charges in the deaths of Mohan, Bartolomeo and Michael Lal. The sentencing drew a sober reaction from Crown spokesman Neil McKenzie. "It's really not a question of how we're feeling or a question of satisfaction or relief. I don't think I can say that," he said outside court. "We have to view this as a significant incident that this individual has pled guilty and been sentenced on these counts." Matt Johnson and Cody Haevischer have been charged with six counts of first-degree murder in the same case. Jamie Bacon, 23, has been charged with one count of first-degree murder in the death of Corey Lal. Bacon, Johnson and Haevischer have also been charged with one count of conspiracy to murder Lal. After court proceedings wrapped up Thursday, the Crown and defence released some censored court documents, including a statement of facts and Karbovanec's personal background, which are not covered by the publication ban. Karbovanec was addicted to oxycontin, a heroin-like painkiller, at the time of the Surrey slayings, according to the documents. He is "remorseful for his actions" and was "not under any obligation to enter into any arrangement" in pleading guilty, the documents say. "He has a strong desire to come clean about his involvement in this tragic matter and, by owning up to the part he played, he hopes to offer whatever closure he can to the victims left behind," the documents say.